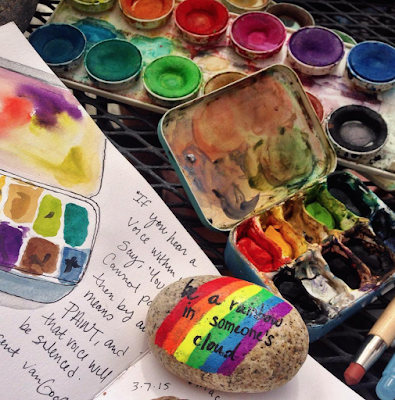 Creative morning with coffee, friends, watercolor and #wordrocksat @succulentcafeoceanside . Can't wait to hide more rocks there, such an adorable place! Rock painted with @funchalk ! !